Is anything more poignant than an old graveyard? 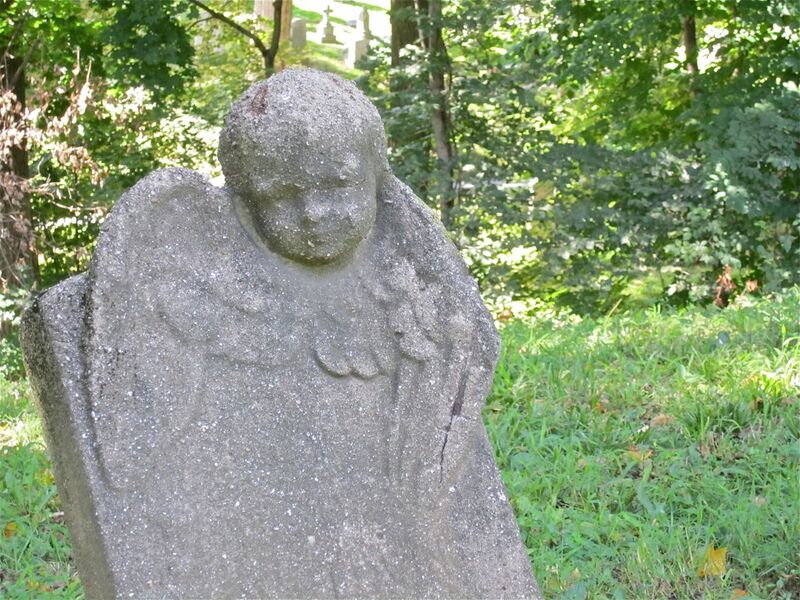 An angel headstone, the words have faded. Mt. Zion Cemetery. Click the photos to enlarge. Mt. 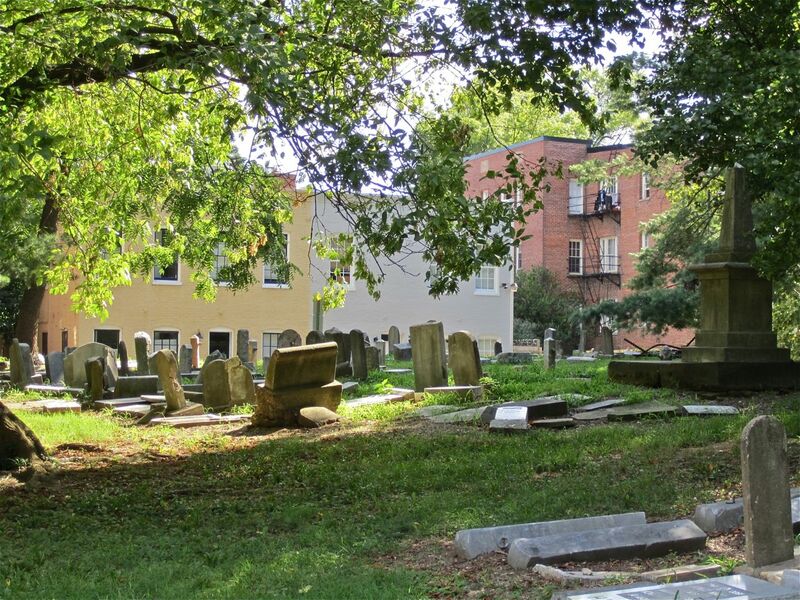 Zion Cemetery is tucked behind the apartment buildings and townhouses of the 2500 block of Q Street, NW, at the edge of Georgetown. I often pass it on my bus ride home. On Wednesday, as I was walking home after the earthquake, I stopped to take a closer look. 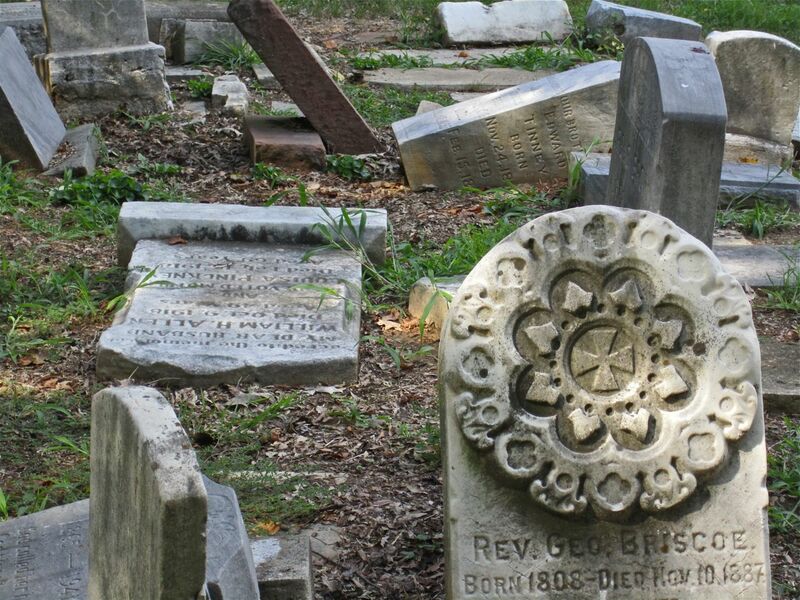 A group of headstones at Mt Zion. 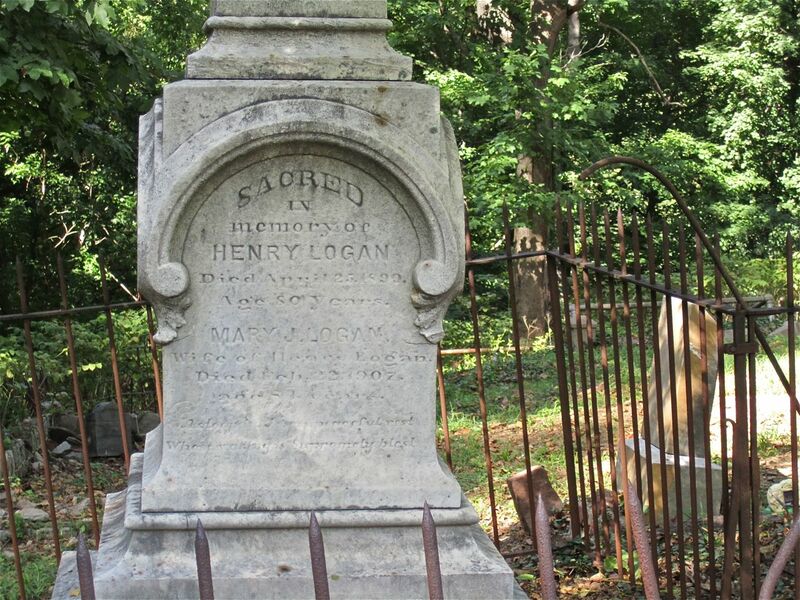 The Logans were a prominent Black Washington family. The burial ground covers about 3 acres. Many of the headstones have fallen or have been moved over time and are now consolidated into a few groupings. The grass is neatly cut and trimmed around the stones, but there are no flowers or other plantings. 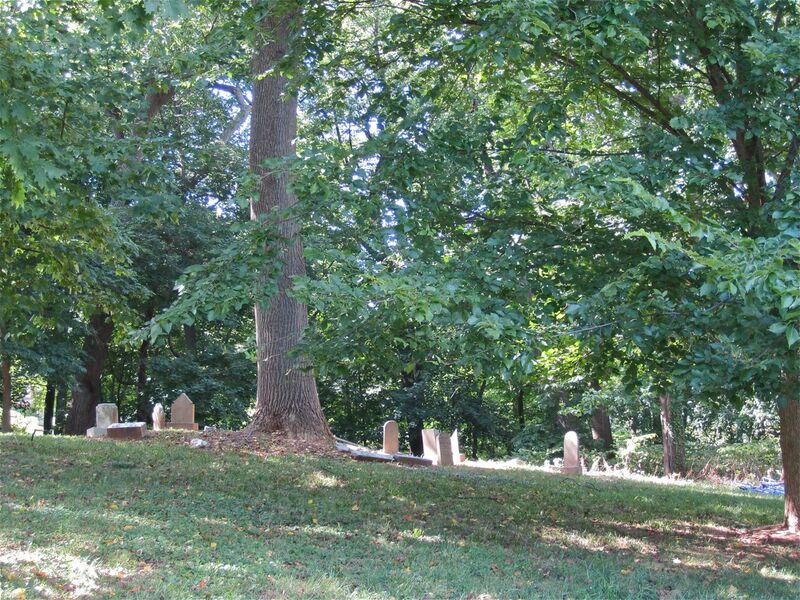 The woods of the Rock Creek Park trail surround the cemetery to the north and east. What I suspected as I looked around — later confirmed by some online research — was that Mt. 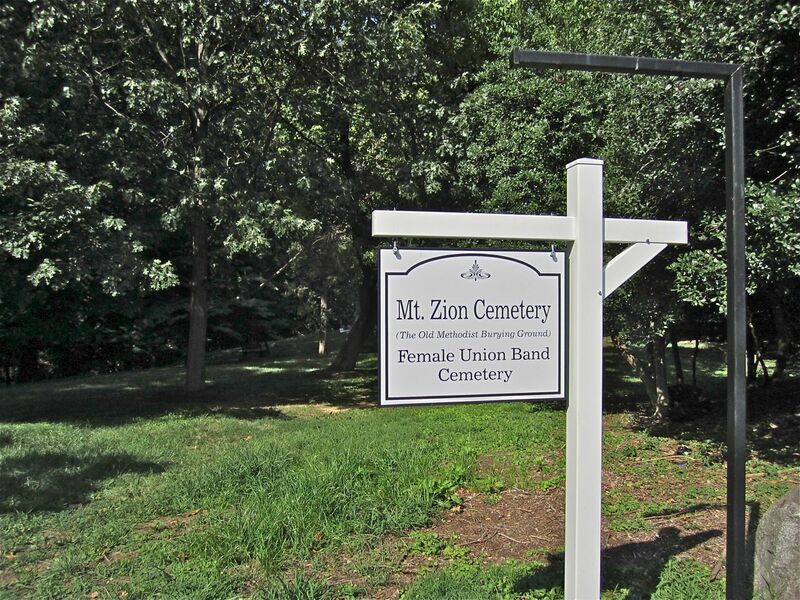 Zion was an old African-American cemetery, a reminder of the time (from the 1700s until the 1950s) when Georgetown had a large Black population. A group of tombstones overlooked by townhouses on Q Street. 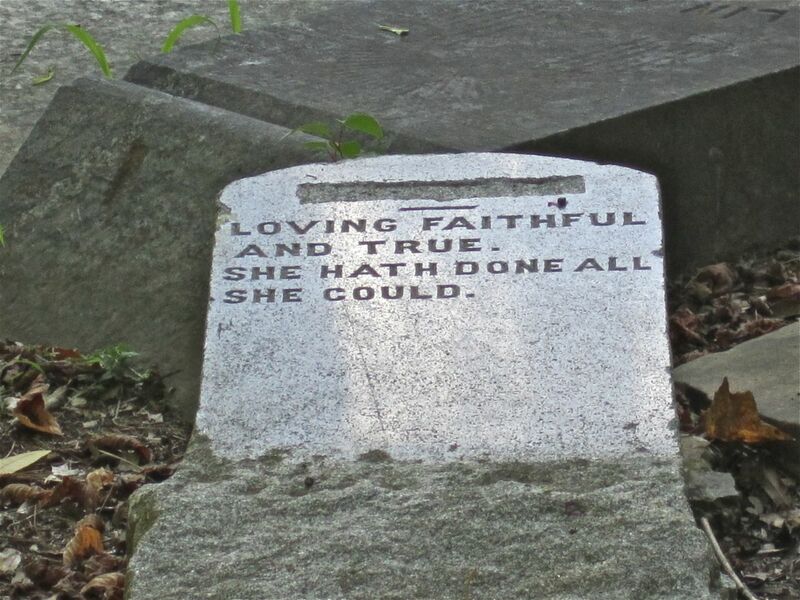 Nineteenth and early twentieth century headstones. 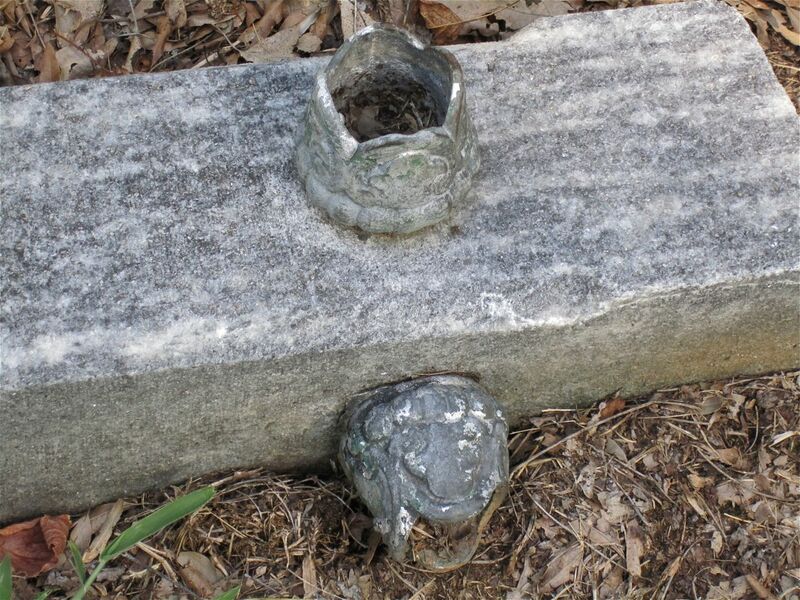 A stone pillar once stood upright and held the railings around a family’s graves. 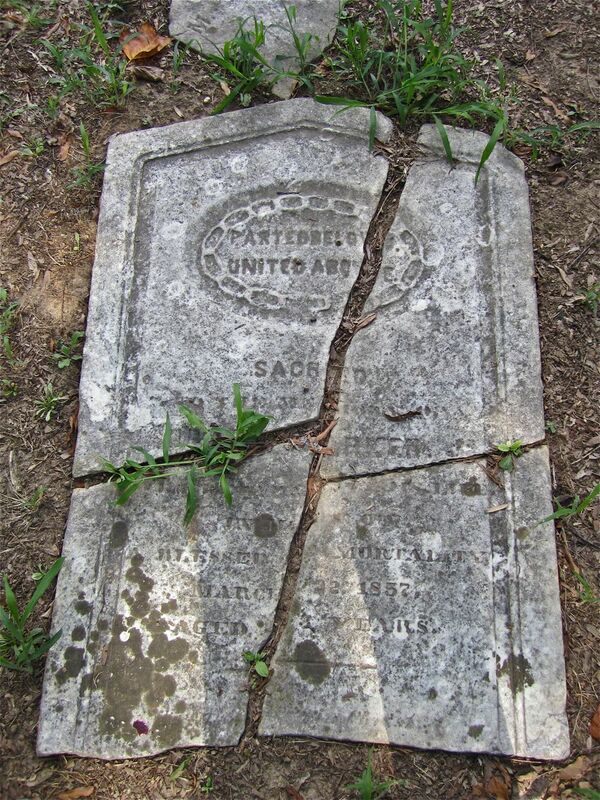 A broken headstone from the 1850s on the ground. Someone has left behind a book of poetry. 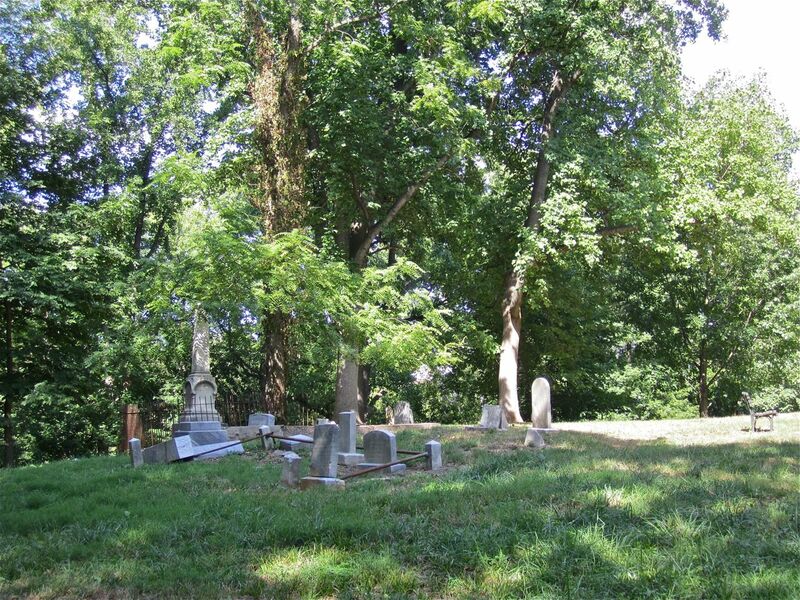 Beginning in 1809, the cemetery’s western side was used by the Mongomery Street Church for the burials of its white members and their slaves, as well as of free African-American members. It was known as the Old Methodist Burying Ground, and its largest monument marks the graves of the white Beck and Doughty families. 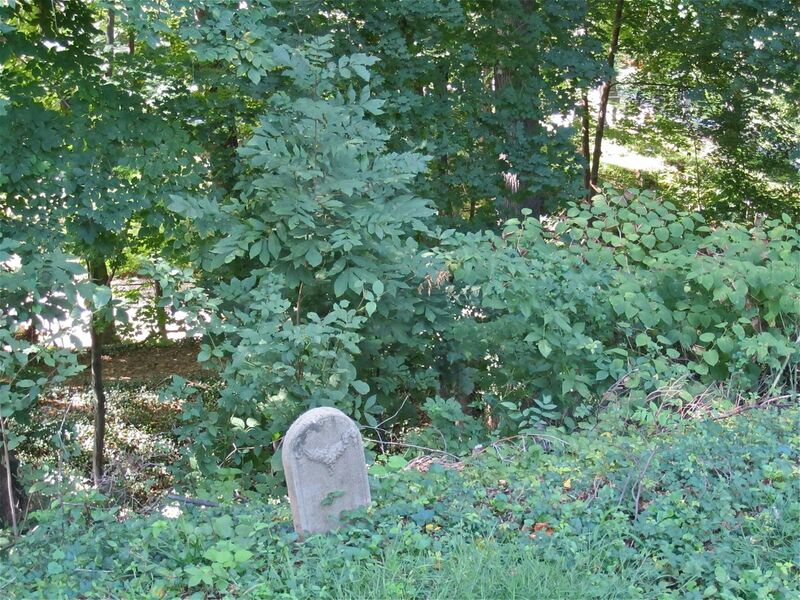 It was a biracial cemetery for a biracial (but not equal status) church while slaves were still being sold in Georgetown. 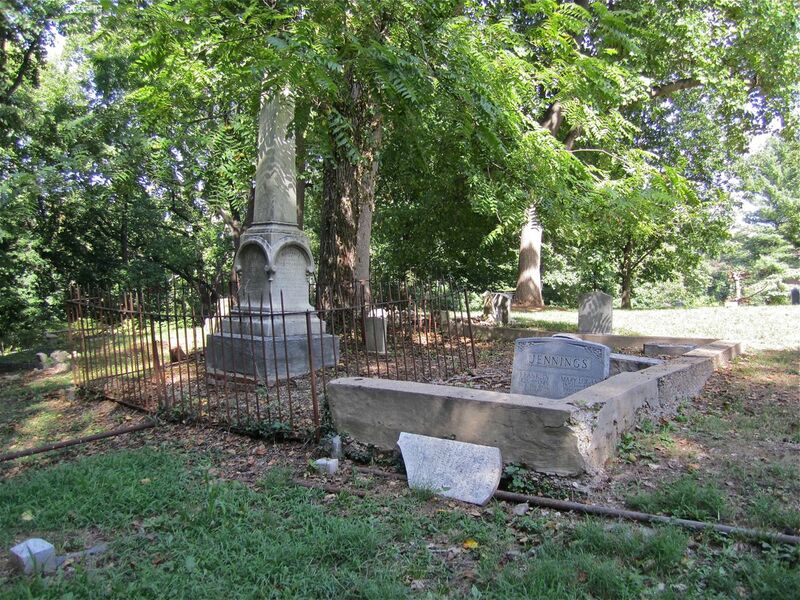 Old Methodist fell into disuse after Oak Hill Cemetery, located just to the west and north, was founded in 1849. In 1879, the plot was leased for 99 years by Mt. Zion Methodist Church, the oldest African-American church in Washington. 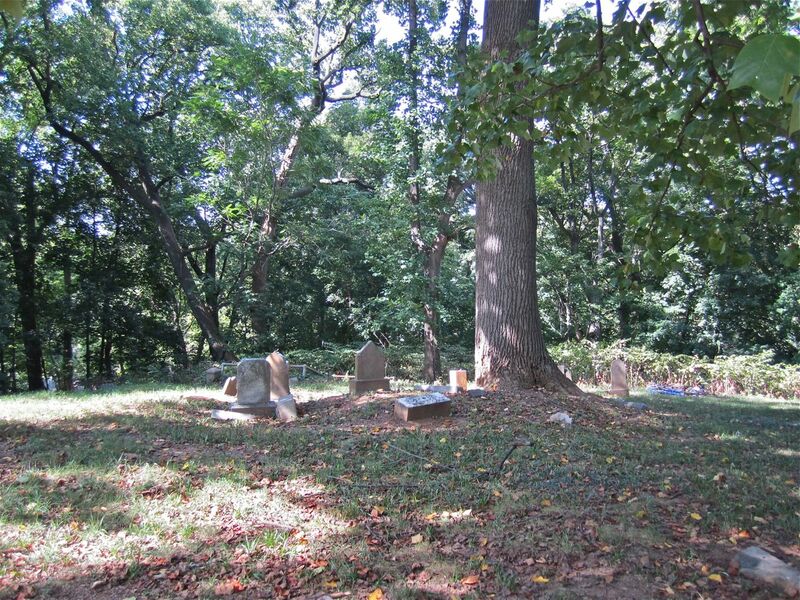 A group of graves at the edge of the woods of Rock Creek Park. 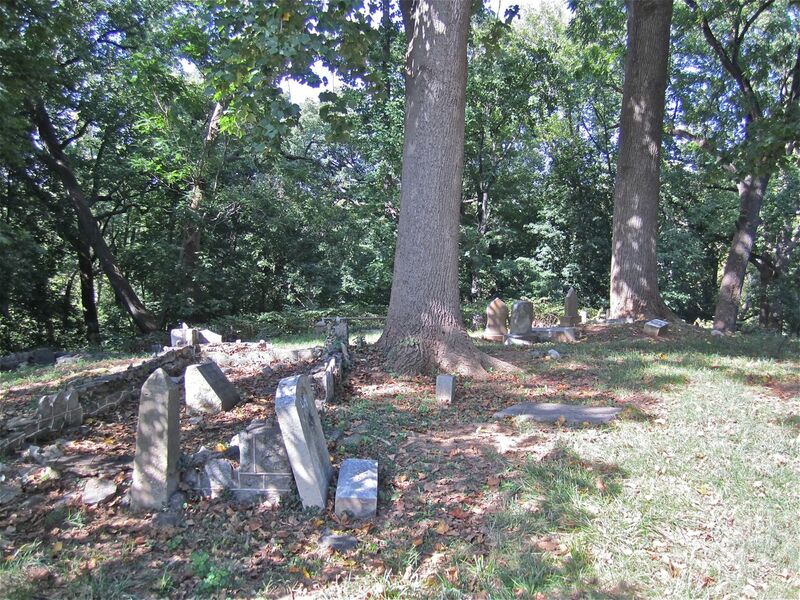 The east side of the cemetery had already been purchased in 1842 by a local cooperative benevolent association of Black women and had become the Female Union Band Graveyard for the burial of free Blacks. The entry sign to the cemetery. For decades, both cemeteries were well maintained, but eventually lack of funds led to disrepair, and the last burials were held in 1950. In the late 1960s, the cemeteries were threatened with removal of the graves for development. Various local groups and individuals worked together to save them, and, in 1975, they were declared a Historical Landmark of Washington, D.C., and listed on the National Register of Historic Places. There’s a complete history of Mt. 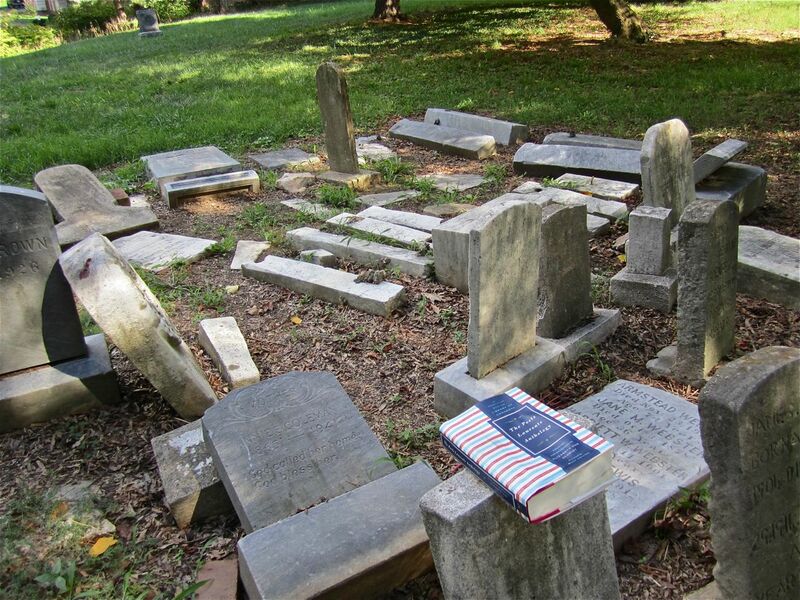 Zion Cemetery by Pauline Gaskins Mitchell in the appendix of the 1991 book Black Georgetown Remembered, which can be read at this link. The complete book can be purchased at Amazon. ADDENDUM: “A 2 Georgetown Cemeteries, History in Black and White,” New York Times, October 21, 2016, here. Previous Post Where happiness dwells. . .
Did you see her latest blog post…she shows photos of her new flat and why she loves it…including it being close to a cemetary! !